This is “Big Jake”, an 11 year old, 15/3 hand horse (john) mule that is really a nice ride. He is GENTLE and a great looking mule, good from his ears to his feet. If you are looking for a big mule to trail ride, hunt, or ranch on, this guy is great and he will watch a cow and stay quite in the herd. We don’t offer a mule like this too often. 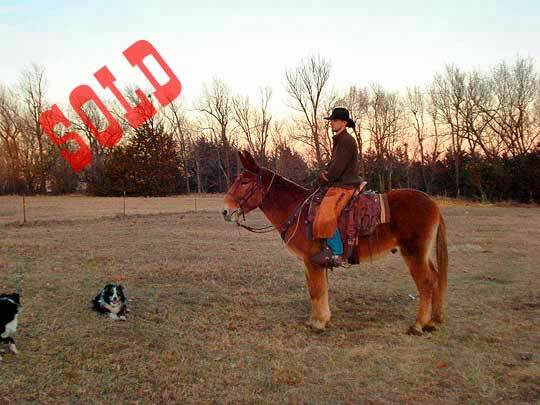 Sold to a repeat customer buying their “Fourth Mule”.